Published June 29, 2015 By Leisa Good This post may contain affiliate links. Regardless, I only recommend sites I've researched and/or used and trust. Would you like to work as a virtual assistant? Are you too busy to market yourself despite having stellar administrative skills? Would you like a company that found you the clients? Then Red Butler might be the right work-at-home (WAH) opportunity for you. What Exactly is Red Butler? Red Butler was founded by Danny Abas in 2003 in Beverly Hills, California as a way to serve entrepreneurs, startup companies, small business owners, and executives. The thing that is unique about Red Butler is they only hire in the United States—no foreign call centers. Another really nice thing about Red Butler is that they offer the clients discounts on hotels, restaurants, and travel. 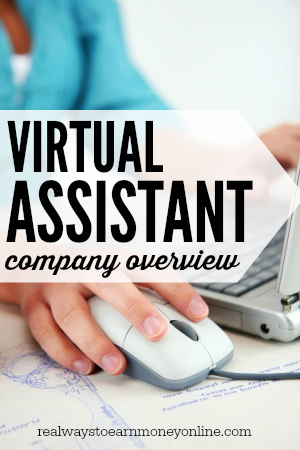 Virtual assistants are able to work part-time or full-time in the comfort of their homes. Red Butler is similar to Zirtual, eaHelp, and Time Etc. Red Butler is great for virtual assistants, who don’t have a lot of money for advertising or time for marketing. These are the virtual assistants who tend to enjoy working at Red Butler. Many of Red Butler’s clients are successful business owners with up to 50 people in their company. The clients are basically found for the virtual assistant as opposed to the virtual assistant having to spend large segments of the day looking for clients and typing proposals. Also, when a client leaves, there is no scrambling to find a replacement client. Red Butler will do it for you. Anyone who has ever done virtual assistance knows that keeping enough clients can be a constant challenge, especially since clients can come and go quickly. Red Butler offers the clients four different levels of service. There is Red5, Red15, Red25, and Red50. Each one of these designates the number of hours per month offered after the word, Red. This is all part of Red Butler’s Tier 2 service where there is a manager, who will manage a team of virtual assistants for one client. The manager will always be the client’s first contact in dealing with the individual teams. In other words, one client may have two or three virtual assistants managing the selected 15 hours a month. What Are the Hours and Pay at Red Butler? The hours may be part-time or full-time and may be done on your schedule as long as the client’s agreed-upon requirements are met. If you can work 10 to 30 hours a week, that is great. There are also weekend hours, but as a rule, most virtual assistants do not work on weekends. Related: FREE list of 150+ virtual assistant services you could offer! What Are the Computer Requirements at Red Butler? The computer requirements are fairly standard at Red Butler as long as you have an updated laptop or PC with anti-virus and anti-malware installed. Now, if you have an expertise such as graphics then you will need those graphic programs downloaded to your computer. What Types of Work Will You Be Doing as a Virtual Assistant for Red Butler? What Other Requirements Does Red Butler Have? a minimum of 3 years’ experience in professional executive assistance. a flexible, “can do” attitude. a proven commitment to providing the highest levels of client service. a commitment to work in a rapidly-changing dynamic team. a technical aptitude with wireless experience a plus. Are You an Independent Contractor or an Employee at Red Butler? At Red Butler you are an independent contractor and responsible for your own taxes. Most independent contractors only work part-time at Red Butler, but you will still need to claim your earnings if they are over $600 in any one year. Red Butler will send you a 1099 Income Tax Form. When is Payday at Red Butler? The pay will be commensurate with your experience. It appears that pay is $12 to $15 USD an hour. While it is not completely clear, it appears the pay is once a month via PayPal. What Do Others Think of Red Butler? There is actually a guy, Nick Loper, who tests and reviews virtual assistant companies from a client's standpoint. He gave the Red Butler a 8.4 out of 10 rating. You can read his review here. There isn't much online from the perspective of someone working there. If you have experience working as a VA for this company, please comment below and let us know how it went for you. How Can an Interested Applicant Apply to Red Butler? Go to this page and get started with the application. Be prepared to upload a resume. Should Red Butler be interested in you, you will be invited to an interview. Keep in mind Red Butler may or may not be actively looking for applicants at this time. Good luck to all who apply. I agree with Anna here. As a former recruiter myself I can tell you that sometimes the list is really their “dream candidate” list. They know that they won’t get it–or probably not–but it never hurts to post. I tell my coaching clients all the time: Fear is the gatekeeper to your dreams. Just open the gate! I have all of the qualifications required by Red Butler with the exception of a college degree. I did complete some college. I am interested in being a part-time virtual assistant. I retired 3 years ago with 33 years of service as an Administrative Assistant with the State of Louisiana. Is there anyway my years of experience could negate the requirement for a college degree? I can’t say for sure, but there is never any harm in just applying and see what happens. Companies are often willing to overlook a lack of a degree when the applicant has a lot of experience in the field.